Remember this childhood favorite? We were busy, didn’t want to go to the store, and we had all these staples on hand. 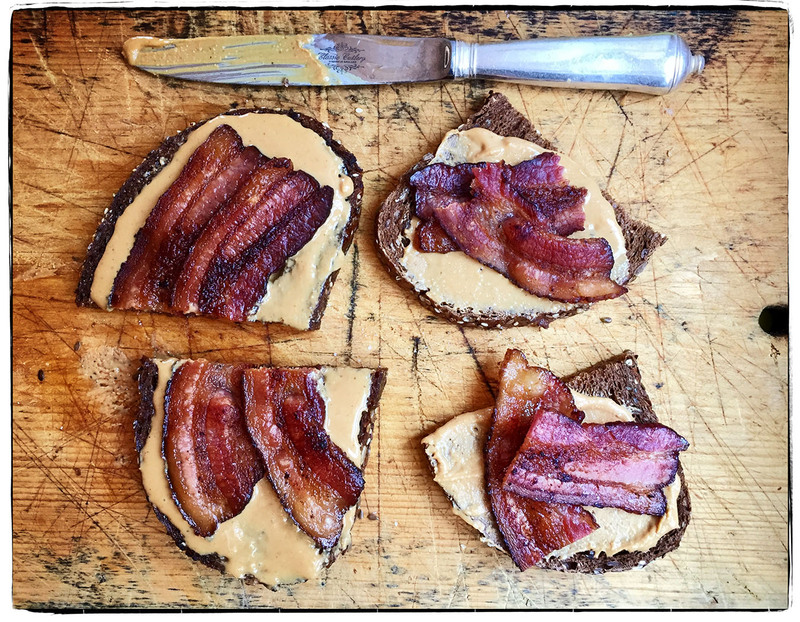 So we toasted slices of dark earthy bread, slathered them with good peanut butter (just peanuts and salt), then layered on slices of crisp thick bacon. This is a perfect combo, simple as can be. What a great way to start the week.